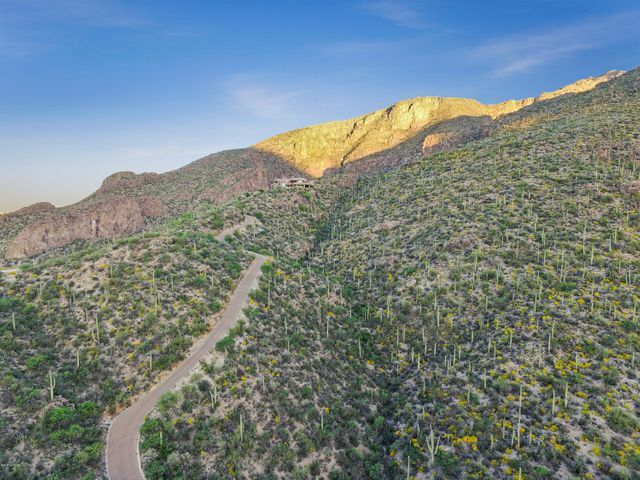 The third undeveloped lot to the northeast of Rattlesnake Canyon allows for completely unobstructed views of Sabino Canyon from the Main House and delivers dramatic views through the canyon and into Tucson. At almost 48 acres, this lot provides privacy, protection, stunning views, and tremendous development potential with space already cleared for a foundation. Directions - North on Sabino Canyon Rd from Sunrise, West on Rudasill, North at Canyon View Thru Gate North to Rattlesnake Canyon Gate.